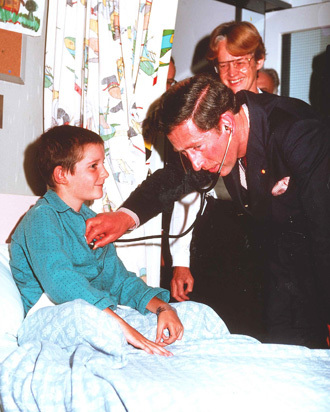 In 1974 during a visit from His Royal Highness, Prince Charles, Prince of Wales The Chermside Hospital was renamed as "The Prince Charles Hospital" (TPCH). Today TPCH is a major tertiary referral hospital for cardiac and thoracic services as well as providing emergency medicine, orthopaedic surgery, general surgery, general medicine, geriatric medicine and rehabilitation, and mental health services to the local population. In 1987 The Prince Charles Hospital Foundation was established to raise needed funds to support the world class medical research happening at TPCH. For all other enquiries, please contact The Prince Charles Hospital Foundation on 07 3139 4636.